In case you haven't heard, President Obama is an emperor. Boehner spox Steel says If "‘Emperor Obama’" imposes #immigration exec order "he will cement his legacy of lawlessness"
He is also a king. And he might be a dictator too. Of course, this is hardly the first time he has been accused of such things. 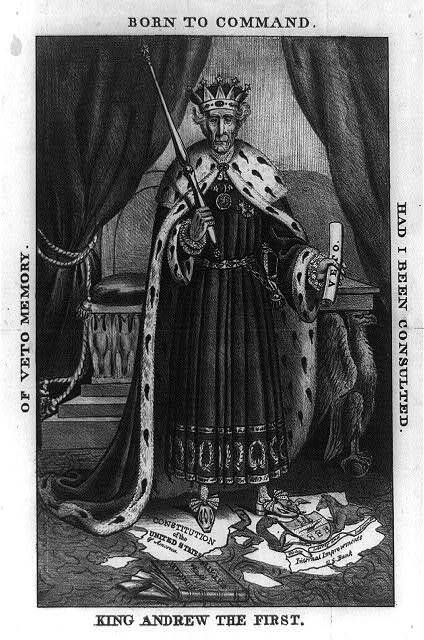 However, Obama can take comfort in knowing he is not the first president to be seen as a dictator, or king, or emperor. It apparently comes with the gig. Nearly all presidents are tyrannical overlords, until they've been out of office for a few years and are only remembered as the nice old people in history books, who were so much better than the current tyrannical overlords. Are there bigger issues of presidential power worth discussing? Sure! But we don't appear to have gotten to that stage yet. Give us a few more centuries.